It takes the Solar System about 240 million years to complete one orbit of the Galaxy. The Sun accounts for about 99.86% of the total mass of the Solar System. Earth is the only place in the Solar System where water can be present in its three states: solid, liquid and vapour. Earth is the only place in the solar system where a total solar eclipse can happen. Neptune has the strongest winds in the Solar System: 2,100 km/hour (1,304 mph). If an atom were as big as the Solar System, a neutrino would as small as a golf ball. Of all the solar system's planets, Venus is the closest to a twin of Earth, with a similar size, orbit and composition. Uranus has the coldest planetary atmosphere in the Solar System, with a minimum temperature of -371.56 °F (−224 °C). Sweden has the largest scale model of the solar system in the world. It is in the scale of 1:20 million and stretches 950 km across the country. A new model of the chemistry of the early solar system says that up to half the water now on Earth was inherited from an abundant supply of interstellar ice as our sun formed. Mars has the tallest known mountain on a planet of our Solar System, with a height of 22 km (14 mi). Mars has the largest dust storms in the Solar System. They can last for months and can cover the entire planet. Uranus is the third-largest planet in the Solar System. Venus has more volcanoes than any other planet in the solar system, with over 1600. The solar system is 4.54 billion years old. Earth spins at around 1,000 mph and hurtles through space in its orbit around the sun at about 67,000 mph. If you weighed 150 lb (68 kg) on Earth, you would weigh 4,200 lb (1,905 kg) on the Sun. If you weigh 150 lb (68 kg) on the Earth, you would weigh only 25 lb (11 kg) on the Moon. Scientists believe there is a ninth planet in our solar system that is roughly 10 times larger than Earth. They haven't been able to locate it yet but they know it's there because of its gravitational effects on other objects. ✔ See only NEW facts you haven't seen before. Factslides a high traffic content website (over 1 million visits / month) that takes relevant and complex information from NGOs, think tanks, journals, specialized magazines and media and converts it into colorful and animated slideshows that are easy and fun to read, making the information accessible to students, teachers and curious minds for fun, research, lesson planning, and homework. Factslides is dedicated to provide well-sourced and verified information that will help young people access the information and critical thinking skills they need to make our world a better place. Launched in July, 2013, it has shown its facts over 1000 million times, and was selected among the Top 100 websites of 2013 by the prestigious PC Magazine, and as one of the 99 Sites That Every Professional Should Know About by BusinessInsider. It was also featured in sites such as The Awesomer, Design Taxi, I-Am-Bored.com, Neatorama, and DONG, a YouTube show with over a million subscribers. How do I know your facts are credible? All facts are verified and well sourced. 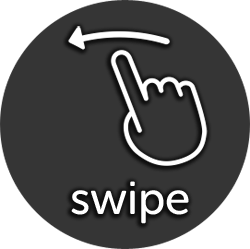 The source URL is located at the bottom of each fact. Can I use your facts on my site / video / whatever? You sure can. Just be sure to include a link back to FACTSlides.com as your source. I found a mistake or have a suggestion! What should I do? 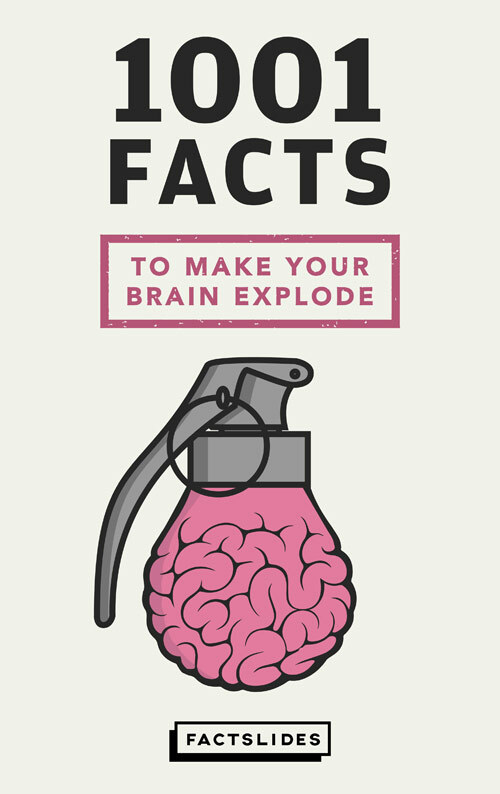 1001 Facts to Make your Brain Explode! Even if you visit Factslides.com every day to get your dosis of new facts —just like over 1 million visitors do every month—, in this book you'll find facts you've never seen before!